The 25th Speaker of Sri Lanka’s legislative assemblies will be elected on Tuesday, 1 September – the day the eight Parliament under the Republican Constitution meets. In all probability, the Speaker will be elected uncontested but one never knows. There have been unforeseen elections earlier. Let’s wait and see. As the presiding officer of the Legislature, the Speaker’s has been an exalted office in countries following the British system of government. He is considered the First Commoner in countries where the parliamentary system of government exists. In Sri Lanka he ranks third in Order of Precedence after the President and the Prime Minister. The Speaker is the repository of the powers, dignities, privileges and liberties of the representatives of the people and through them the people at large. In addition to the powers he derives from the Standing Orders of Parliament, conventions and practices have also given him authority. Once elected to the coveted position, the Speaker is expected to forget his party affiliations and be impartial in conducting the business the Parliament. In fact, it has been the tradition that once elected as Speaker, he is not contested at the next general election. This was first tried out in Sri Lanka when Sir Albert F. Peiris who was Deputy Speaker of the House of Representatives and became Speaker following the death of Sir Francis Molamure, came forward for the Nattandiya seat as “Mr Speaker seeking re-election” in 1952. Although the political parties did not contest him, an independent candidate, Hugh Fernando came forward and gave him a close fight. Sir Albert won by a majority of 306 votes and got elected uncontested as Speaker. He was, however, defeated by Hugh Fernando at the 1956 general election. Following British tradition, Sri Lanka (then Ceylon) first elected a Speaker in 1931 when the first State Council was formed under the Donoughmore Constitution. That was the time candidates contested as individuals although the first signs of party affiliations could be noticed. A.F. (later Sir Francis) Molamure, member for Dedigama, was elected Speaker by 35-18 votes after a contest with Sir Stewart Schneider. Molamure resigned on personal grounds after absenting himself for three months and was succeeded by Deputy Speaker Forrester A Obeysekera (later Sir) in December 1934. He continued till December 1935 when elections for the second State Council were held. He was defeated at the election. Waitialingam Duraiswamy (later Sir), member of Kayts, was elected as Speaker of the second State Council in 1936 and held the post for a record eleven years until 1947 since the duration of the Council was extended due to World War II. A.F. Molamure was back in the First Parliament (1947) having won the Balangoda seat and was elected Speaker after a contest. H. Sri Nissanka’s name was proposed by the Opposition but Molamure won getting 58 votes as against 41 for the opponent. 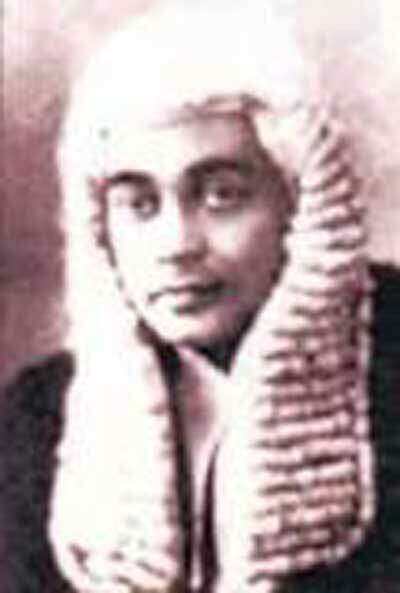 His death in early 1951 made way for Deputy Speaker Albert F Peiris (later Sir) to become Speaker. He continued as Speaker after the 1952 general election but had to move out when he lost the 1956 election making way for H.S. Ismail (Ind-Puttalam), former Deputy Speaker, to become Speaker in the third Parliament (April 1956-December 1959). He did not contest at the election that followed. The 1960 March saw UNP Leader Dudley Senanayake forming the government having won just 50 seats. The first test came with the election of the Speaker. The Opposition put forward T.B. Subasinghe (Ind.-Katugampola) to contest the government nominee Albert F. Peiris. The latter got only 60 votes while Subasinghe got 90. In the short-lived Parliament, the Government got defeated at the voting to the Address of the Throne and Parliament was dissolved. In the election that followed in July 1960, all the parties decided not to contest him but a party candidate came forward as an independent and won the seat. His was the shortest duration as Speaker (six weeks) on record but during that short period he was able to build a great deal of goodwill with all the parties. SLFP MP for Nawalapitiya, R.S. Pelpola became Speaker uncontested after the July election. He resigned in December 1964 and Hugh Fernando, who had earlier defeated Albert F. Peiris at Nattandiya was elected Speaker. Following the UNP victory at the 1965 general election, Sir Albert F. Peiris came back as Speaker but he could not complete the entire duration of the Sixth Parliament. He died in September 1967 and Deputy Speaker Shirley Corea succeeded him. Stanley Tillekeratne (SLFP Kotte), Speaker of the Seventh Parliament (June 1970) earned a special place being the only one to chair a Constituent Assembly. As Speaker of the House of Representatives he headed the Assembly to draft a new constitution. Following the adaptation of the new constitution of the Socialist Republic of Sri Lanka, he continued to be Speaker of the First National State Assembly (NSA) in May 1972 as the same H of Reps was re-named. With the landslide victory of the UNP at the 1977 general election, Anandatissa de Alwis, (UNP-Kotte) was elected Speaker of the Second NSA which lasted until September 1978 when the Executive Presidential system was introduced under the constitution of the Democratic Socialist Republic (DSR) was formed and the NSA was re-named Parliament. On his resignation to accept a Cabinet portfolio in August 1983, M.A. Bakeer Markar (UNP-Beruwala) was elected Speaker. He himself resigned in December 1988 and E.L. Senanayake (UNP-Mahanuwara) succeeded him. The next two Parliaments saw Speakers being elected from the party in power – M.H. Mohamed (UNP-Colombo) and K.B. Ratnayake (SLFP-National List) and the Fourth Parliament elected an opposition MP – Anura Bandaranaike (UNP-Gampaha) – unanimously. The next Speaker was Joseph Michael Perera (UNP-Gampaha). When the United People’s Freedom Alliance (UPLF) came to power in April 2004, D.E.W. Gunasekera’s name was proposed as Speaker. However, the Opposition nominated W.J.M. Lokubandara (UNP-Badulla) who got elected by a majority of one vote – 110 against 109. The Speaker of the Seventh Parliament, Chamal Rajapaksa (UPLF-Hambantota) completed the full term (April 2010-June 2015).